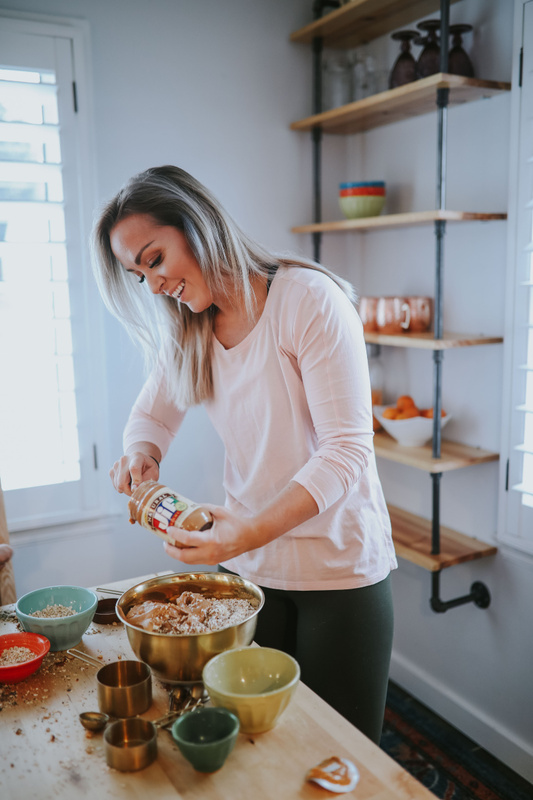 Some people are surprised to find that peanut butter is a part of my life. Yes! I’m a fitness influencer and Yes! I eat peanut butter. 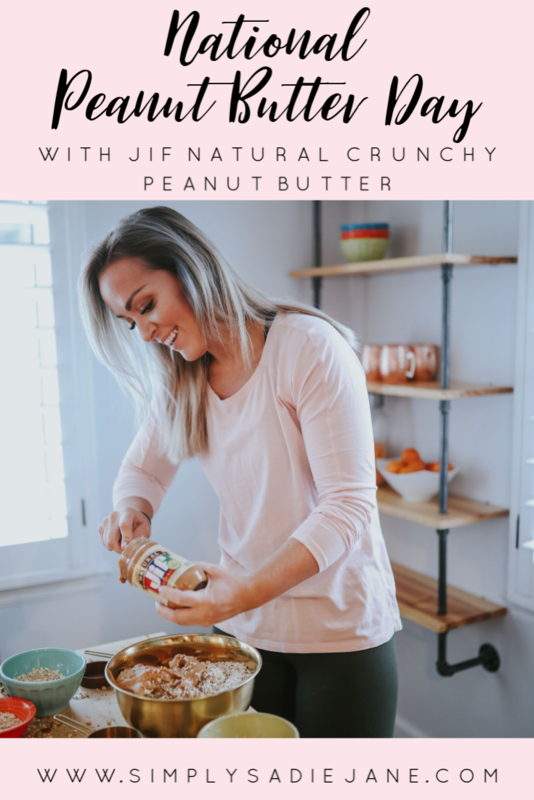 I love finding ways to incorporate peanut butter into recipes, snacks, and everyday life! It’s such an easy ingredient to work with to add a little variety with natural ingredients. Sometimes it’s a spoonful. Sometimes it’s a sandwich shared with my kids after school. I also love a good protein bite. 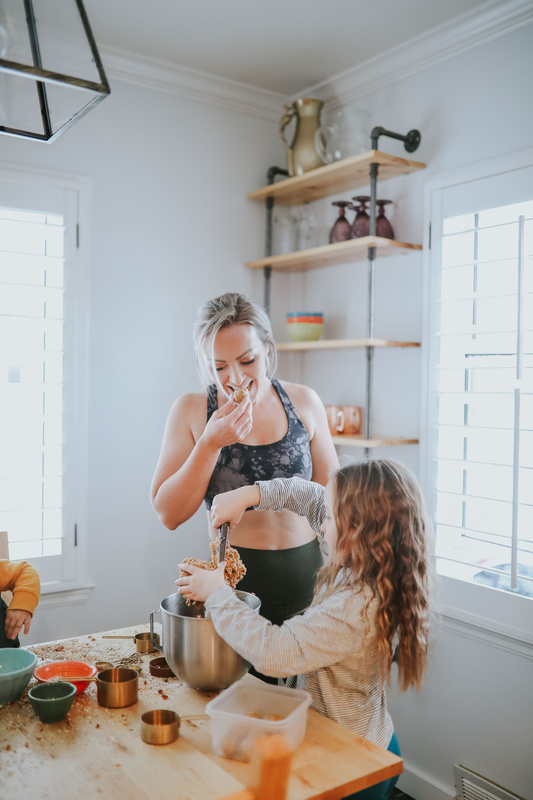 My kids love peanut butter as much as I do and we enjoy making and trying new recipes together. It’s hard sometimes to let them be in the kitchen creating. The sticky fingers, the mess, …am I right? But I try to step back and remember the memories we’re building together. And a mess can always be cleaned up. Protein bites come in all shapes and sizes. I’m a little picky when it comes to a good pre or post workout snack. Or just a filling snack! And I’ve tried several. I have found that the best ones are homemade. With just a few simple ingredients you can make your own too! The great thing about making your own is you know exactly what ingredients are going into your snacks. Plus I can feel confident in my kids eating them too. They are growing and good, filling snacks are a must! You can learn more about my approach to food in my Simply Nourished Course. Click the image below to learn more. Next mix in the other ingredients, a stand mixer would be helpful here. 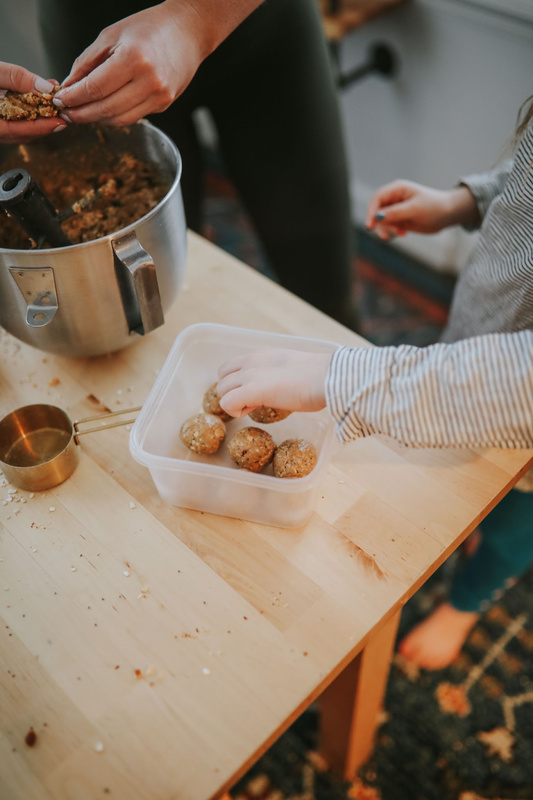 Scoop mixture into balls with a cookie scoop. Place in a container and keep refrigerated up to 1 week. 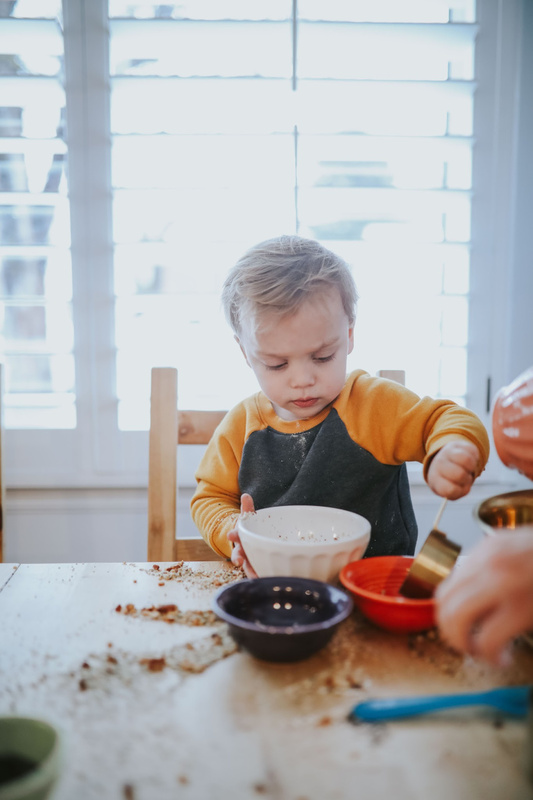 Do you enjoy a spoonful of peanut butter with your littles? It’s something my whole family enjoys! « Take a break this holiday with SMUCKERS!